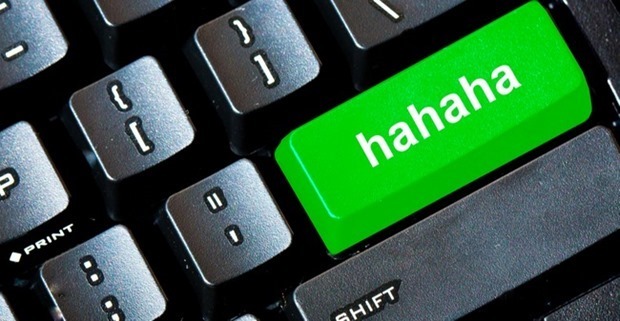 Dear netizens: ‘LOL’ is now pass, because ‘Haha’ is the new language of e-laughing. Facebook has come up with a unique study to determine how does netizens laugh online, or rather how can they exhibit their funny emotions in the best possible way. During the earlier days of Internet when people used Yahoo Chat and IRC chat channels, then lol or Laughing out Loud was the most popular way to show e-laughing. But the trends are now changing. As per the study, Haha (and various versions like Hahahaha..; Ha ha ha etc) have comfortably beaten lol to emerge as the most preferred mode of e-laugh. Hehe is another term which is fast becoming popular. But going by the numbers, emoji symbol, which is represented by a smiling face is the #2 most popular way to show laugh. Facebook analyzed all ‘de-identified’ posts published on Facebook during the last week of May, and studied those which had atleast one character matching laughter. Direct messages were not analyzed, as the trends of messengers and chat apps is an entirely different study, considering they already have in-built emojis for showing emotions. 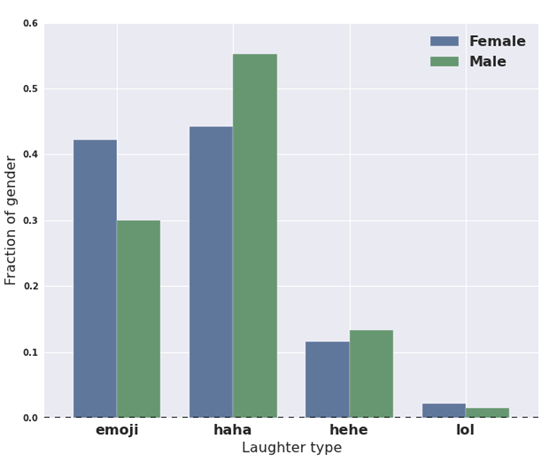 Facebook researchers were surprised to find that 15% of all posts had atleast one laughing character, and the most common of them was Haha. Out of them, 46% of Facebook users posted only a single laugh during the observed week, but 86% of them posted fewer than 5 laughs. Thus, most of the Facebook users are actually using one or the other kind of laughter emotions in their Facebook posts. If 52% of the users relied with only one type of e-laugh (either Haha or Hehe or emoji); roughly 20% used more than one emotion in their posts. Only 1.9% used lol (or LOL), which was so popular around 5-6 years back. If we examine the data age-wise, then between 13-70 years, Haha and its various versions are the most popular; however younger ones do have an inclination towards emoji characters, compared to older ones who still use LOLs. Infact, LOLs were mainly used by users who were aged between 25-30, while below-20 users had Hehe and Haha as more preferred way. Although Haha and Hehe (4 characters each) are the most popular ways to laugh, there are instances where the person chose to showcase some wild laughs by adding several characters, thus there are occasion hhaaahhaaa, hehehheheh and other variations. On the other hand, LOL had a single standalone version, with a rare lolz or loll (which can be spelling mistakes as well). The most disciplined way to laugh online is the emoji character, and less than 50% of the users ever used more than 3 emojis ever. 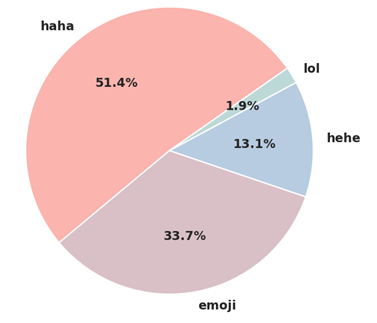 Another interesting stat: Haha and Hehe are more or less preferred by males, whereas lol and emojis are women’s way of laughing on the web. The report has also detailed the spread of these laughing emotions across different parts of USA, and specified to cities.